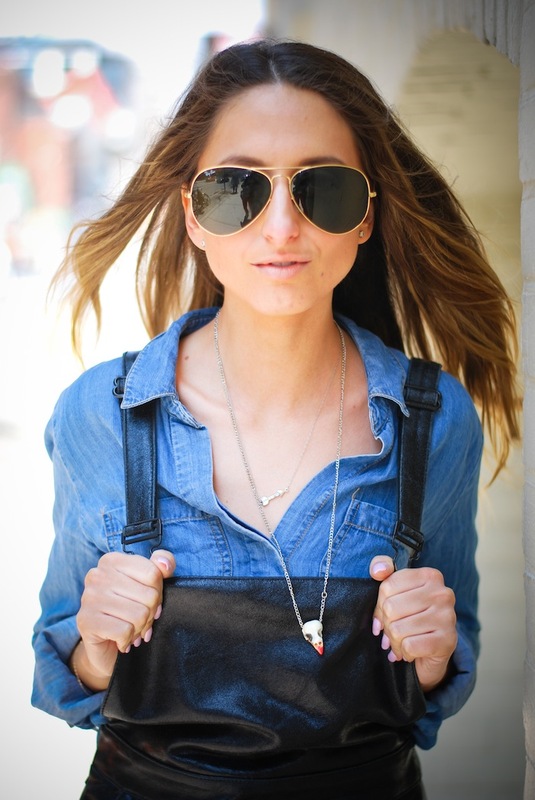 My Style | Leather, Overall. Remember pagers? Those palm-sized devices with a calculator screen; the portal to your popularity and coded messages from boys: “1-4-3” used to be how we said “I love you.” Well, you were only cool if you had a pager AND clipped it to the bib of your overalls. Which really meant, by deduction, that you were only cool if you owned overalls – at the time, they had to be flared and by Silver Jeans. Good news, overalls are back in style. Spring runways like Rag and Bone and Alexander Wang in New York were the first to announce the return of the dungaree. (If we’re really counting though, it was Kendrick Lamar’s Money Trees that taught us how to hide a gun in our overalls, not a pager). In Toronto, Rudsak closed their Spring runway show with a pair of silver metallic leather overalls and the crowd went wild. 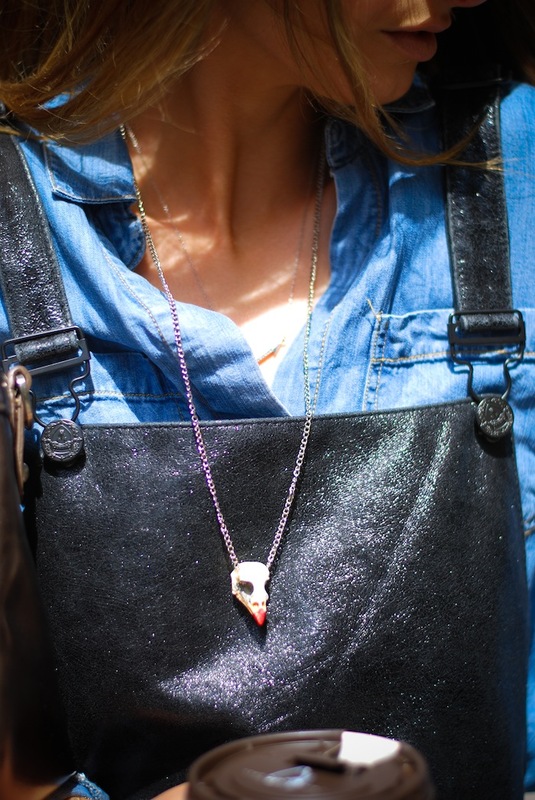 When I previewed the collection up close I wasn’t expecting to see the leather overalls – usually, editorial pieces (meaning, ones that are too cool to be produced for the likes of regular human beings) are only available as samples. But there they were, on the production line. Translation? You can buy them in the Rudsak store and online. Life-changing? 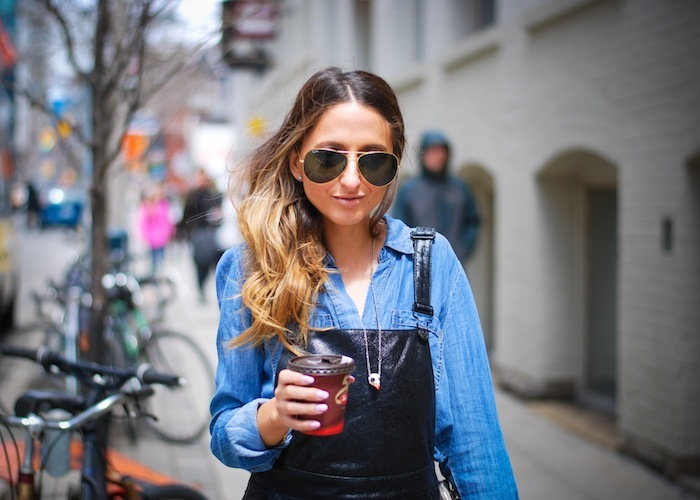 There are two things in my outfit that are life-changing: leather overalls and Tim Hortons. Jetset Outfit: Rudsak leather overalls; SENSO boots from Sauvage; vintage Ray-Ban aviators; Nella Bella London Nu Cosmo clutch. Next Post My Style | Retiring my High Heels, Hello?